What a bonus for Arizona. George Lowden came to visit our Grand Canyon. Of course, while he was here he stopped in to see Jeff Looker at Acoustic Vibes Music in Tempe. He shared his thoughts on guitar making, his early years and some of what makes his guitars unique. Here a short sample from his two-hour talk. What a pleasure it was to see him again. The first time I had the good fortune to meet George, was when we worked for Lowden Guitars during NAMM 2015 in Anaheim, CA. 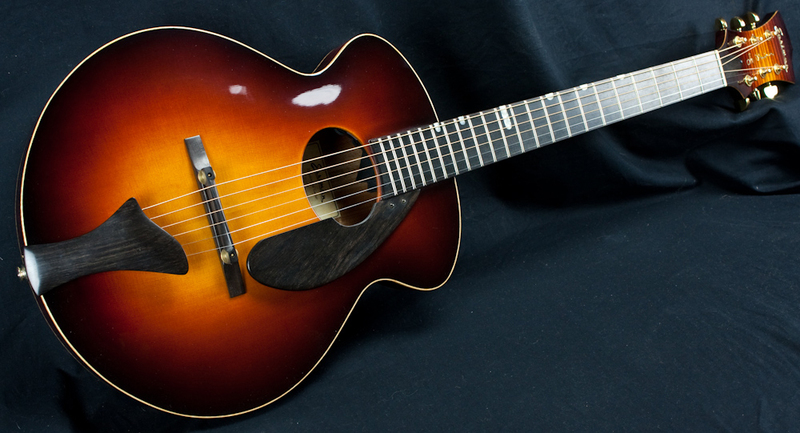 We produced a few “Daily Recap” videos that Lowden Guitars posted to their social media during the show. Below are the links. 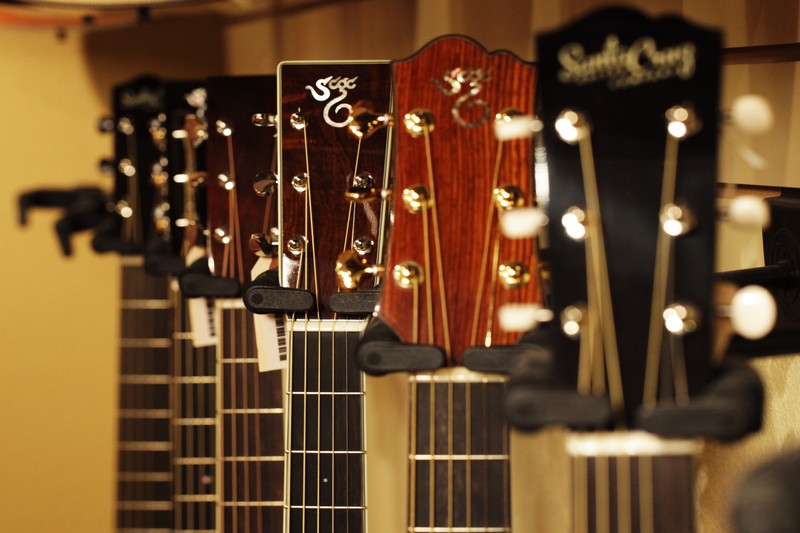 To experience the sound of so many Lowden models played by such great musicians was an incredible joy. 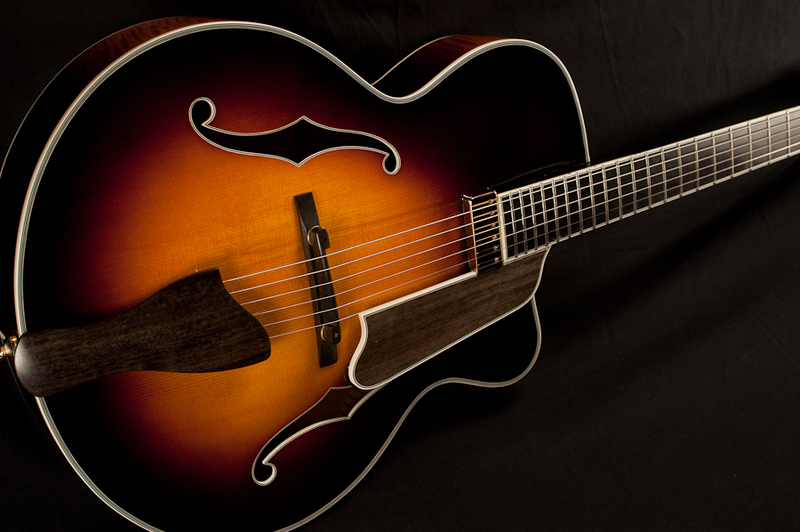 Finding all the most desirable features in each instrument — unique voice, beautiful wood, attention to detail, commitment to quality, craftsmanship — made a lasting impression. This was also my first time attending NAMM and it is no exaggeration to say that I was blown away by the whole experience. Blown away. On Day 1, we met George and some of his family. Then we recorded with some pretty fantastic artists, Thomas Leeb, Alex De Grassi and Stephen Inglis, at the Lowden booth. Day 2: Next, some Lowden dealers had a little fun with the origins of the ‘Wee Lowden’ and we listened to the Global Guitar Greats, with Shawn Jones. Jason’s passion was sparked when an uncle found an old Stratocaster in the trash and rescued it. That piece of American music history from 1957 found its way into his heart (and yes, his permanent personal collection), and he was hooked for life. 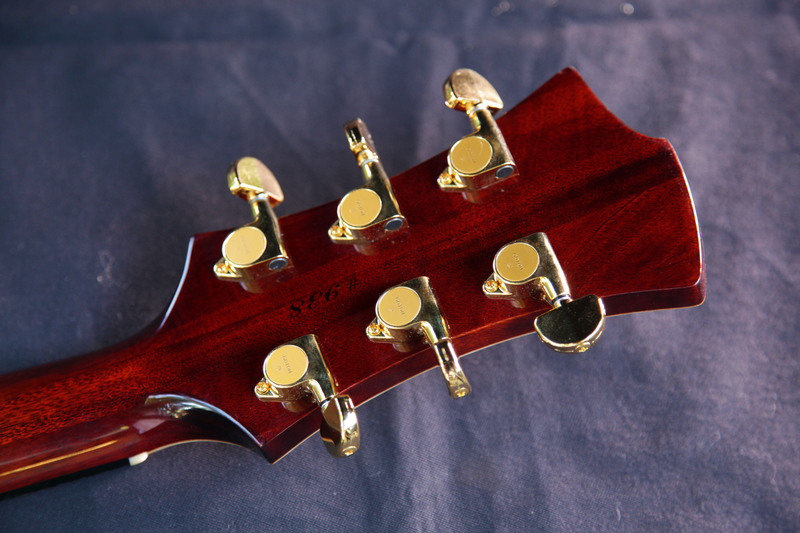 To satisfy his collector’s habit, he started to sell and trade guitars. Fast forward to his adulthood and the buy/sell/trade mentality turned into Guitar Tree, home to an ever-changing instrument inventory for players, collectors or the just plain curious. These guys are fanatics. Their business plan is to scour the landscape — the dark corners of antique stores, garage sales, Craig’s list, pawn shops, Aunt Myrtle’s attic — then rescue, refurbished as necessary, and resell. The stories behind the ‘find’ are colorful and incredible: Jason told us about a recent find from a pawn shop “in a town with no one in it” … A lady had bought a Fender Strat and amp for her husband in 1963. Sadly, he died in 1964 and that shiny new guitar and amp went into a closet. For nearly 50 years. Untouched. Imagine! 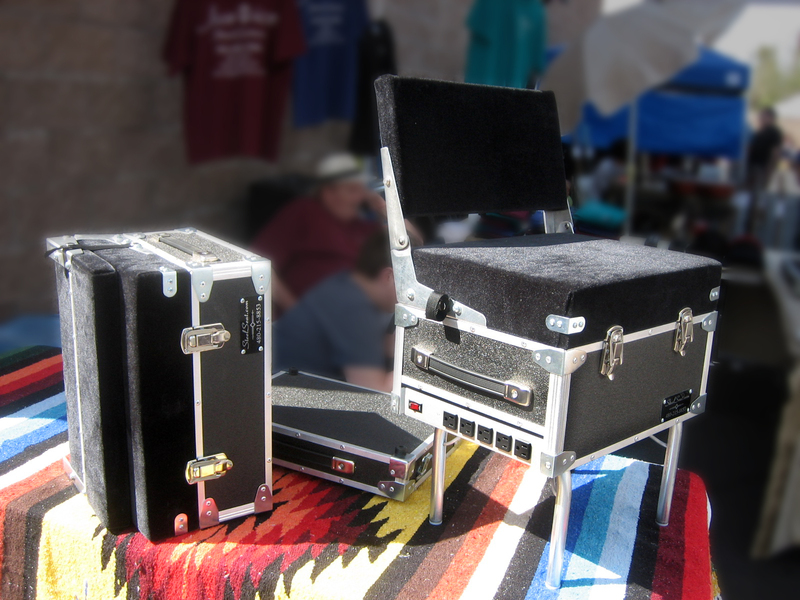 Sometimes when he strikes a deal on an instrument, the seller will throw in a box of ‘junk’ that’s been collecting dust in a dark corner. Guitar Tree loves these cast-off parts, accessories, nick knacks and ephemera (this material sells best online to grateful customers seeking that impossible to find item). Not everyone has the good fortune to turn their pastime into a career. Kudos to Guitar Tree for successfully and diligently cracking the nut. Speaking of diligence, it’s time to put a 6-string beaut on my knee and practice. Recently I read Guitar, An American Life by Tim Brookes – about his quest for a custom guitar to replace his damaged Fylde guitar. Guitar is a quiet, well researched story about a broad splash of guitar lore and the relationships between players and their instruments. Brookes’ book (say that three times fast) covers a storehouse of history, describes his collaboration with the builder and explores the guitar building process. As he waits for his new guitar to be built, he builds a chronicle of the guitar — from a peasant’s plaything to a serious instrument with a worldwide following, becoming THE American instrument. Of course, the raw materials — which wood species and adornments he selects for his guitar — become key decision points and fuel for the philosophical discussion throughout the book. Early on in my reading, my curiosity about the Fylde guitar Brookes was replacing grew. Fyldes are very well respected — so much so that their high demand makes them practically impossible to acquire. Maybe that’s why I’d never heard of Fylde before. 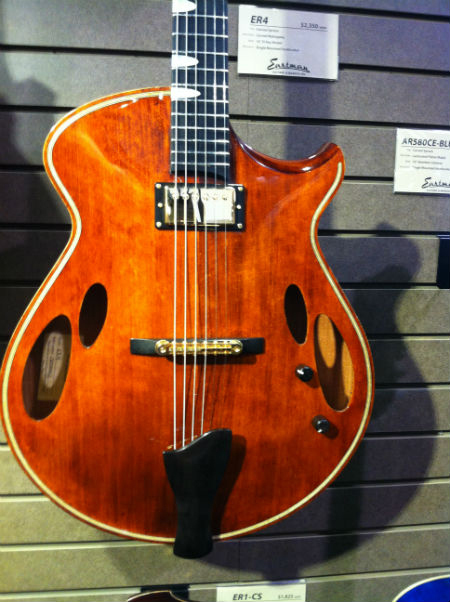 Check out Fylde for very interesting thoughts and strong opinions about guitars, as well as an interview with Roger Bucknall the owner, recorded for the NAMM archive. 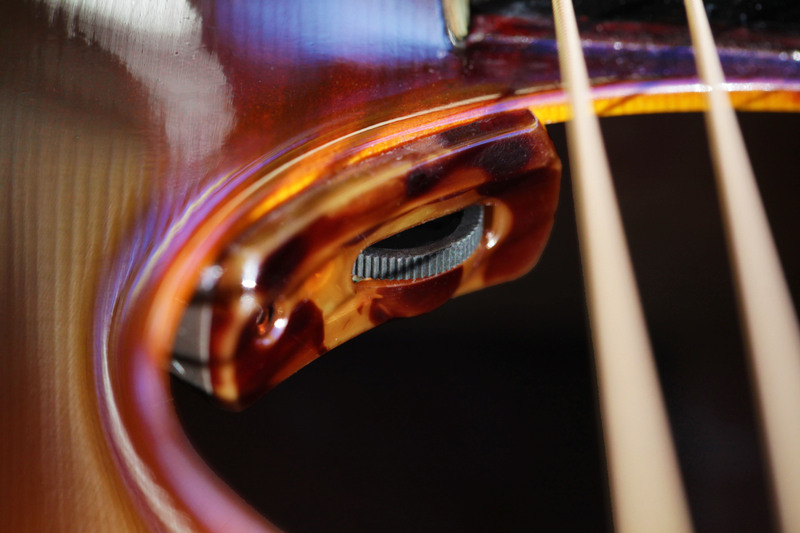 Bucknall eschews the use of the term luthier (from the “French … one who makes lutes” … duh), as pretentious and unnecessary — a disingenuous attempt to sound superior. He prefers guitar maker as being more accurate and perhaps more honest. It’s no surprise that Bucknall has strong opinions about which woods make for good guitar building. He takes a pragmatic approach — what’s readily available, malleable, affordable and beautiful –while still being acoustically suitable. One look at his guitars and it’s plain to see he uses woods from around the world not typically associated with musical instrument production. Back to the book … As Brookes weighs the pros and cons of various woods, his luthier explains that the species of wood used for the back and sides isn’t that important to the sound. (Well, that’s not exactly how the marketing folks in modern guitar factories explain it!) Ultimately, Brookes decides on Cherry wood for his dream guitar, which he had made by Rick Davis of Running Dog Guitars in Vermont. All this got me thinking about tonewoods, and my desire to seek out some sort of rosewood guitar. I decided to talk to an expert. 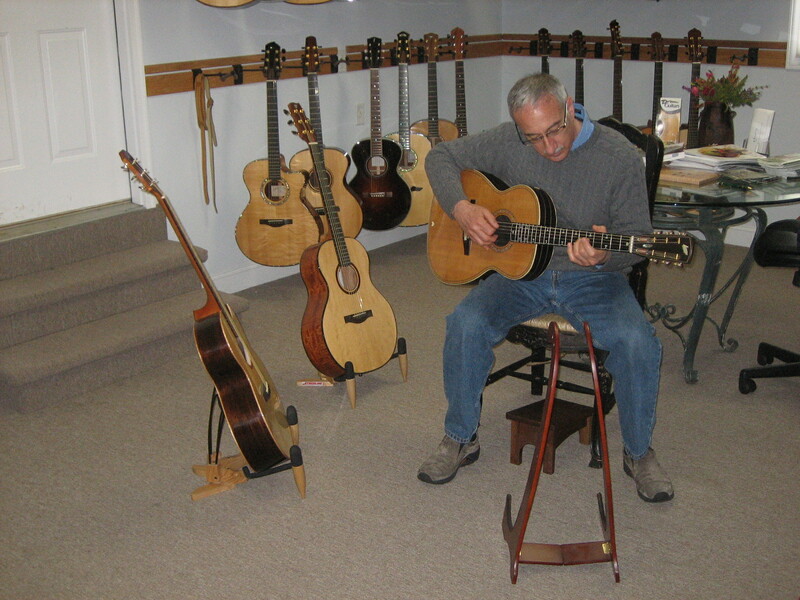 Enter George Leach, who has been building and teaching guitar making for over 25 years. He has instruments on display at the incomparable Musical Instrument Museum, and is about to publish a book on guitar making. 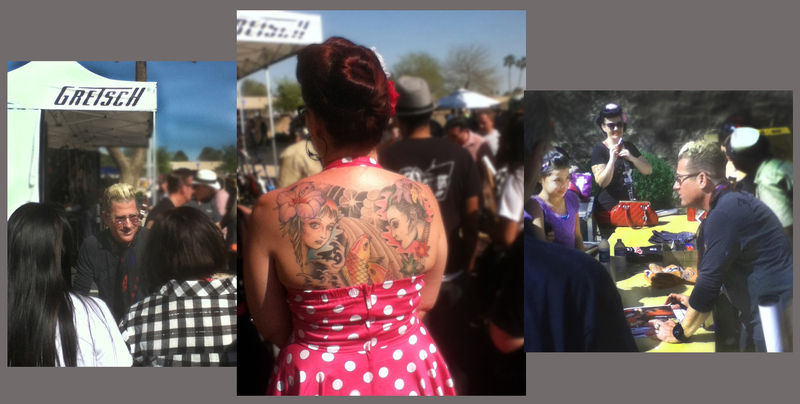 I had a chance to talk to him and his partner at their shop — The Phoenix Guitar Company. 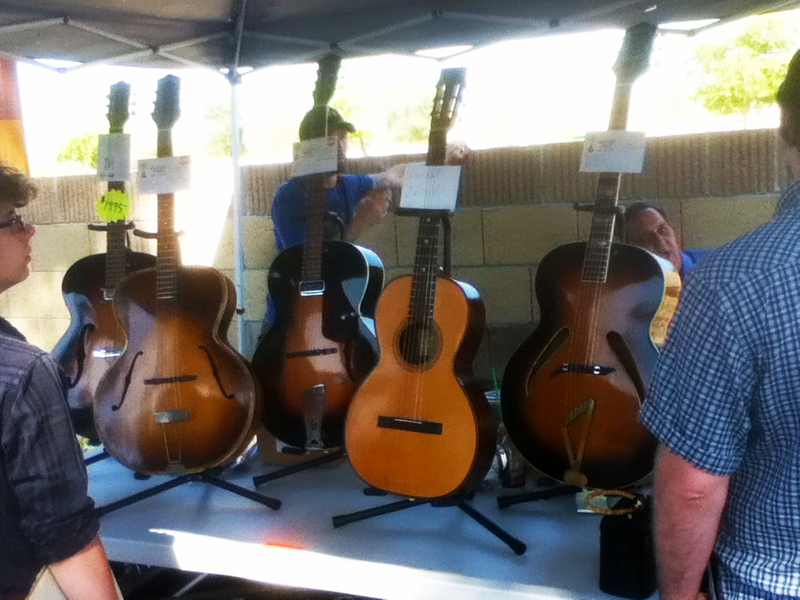 He had just returned from exhibiting some of his work at the “by invitation only” Healdsburg Guitar Festival. George Leach generously shared his time and knowledge, telling me that the sound board, or top, has the most effect on tone. To simplify his explanation, when it comes to the side and back woods, he says other things have more — way more — influence on a guitar’s overall tone. 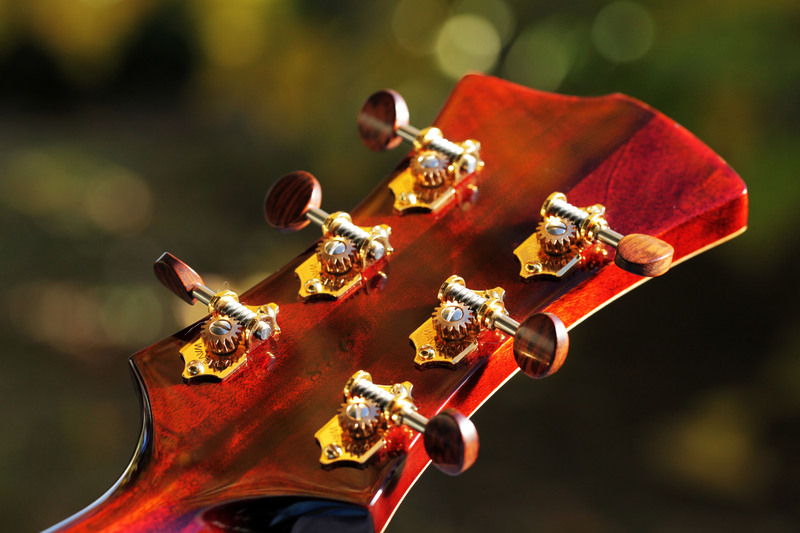 Things like scale length, body size and even strings make more of a difference in the guitar’s tone. The back and side wood, while influencing the sound somewhat, are most important for their beauty. The more I learn, the more I’m beginning to rethink my all rosewood guitar idea. Not really. 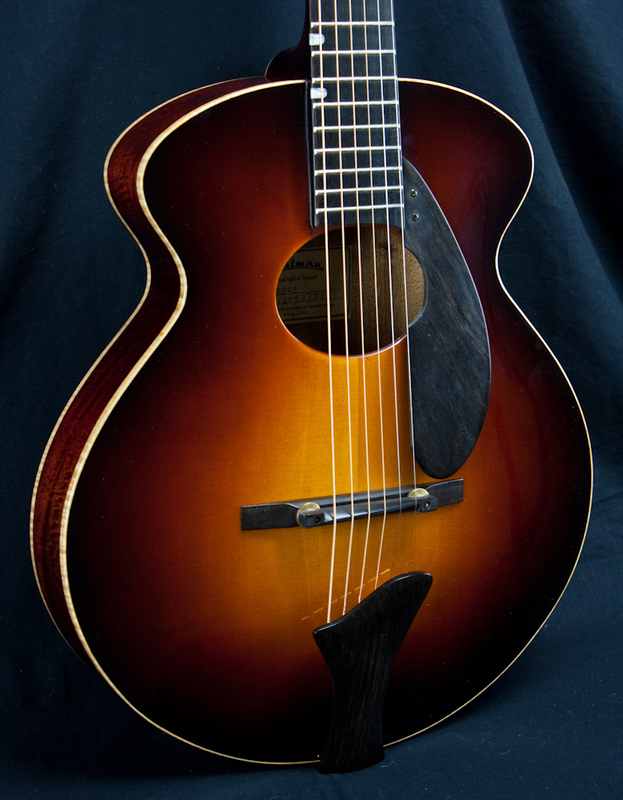 I still want to a rosewood guitar … but, I might be open to walnut… or cocobolo… It certainly deserves more thought. Meanwhile, the value of guitar practice does not require more thought. It requires more action. So off I go. Sometimes, people don’t even know what tremendous things they have right in their own backyard. For instance, my wife grew up in Arizona, but never saw the Grand Canyon ’till she was 30. One of the famous seven natural wonders of the world, right in her own backyard! 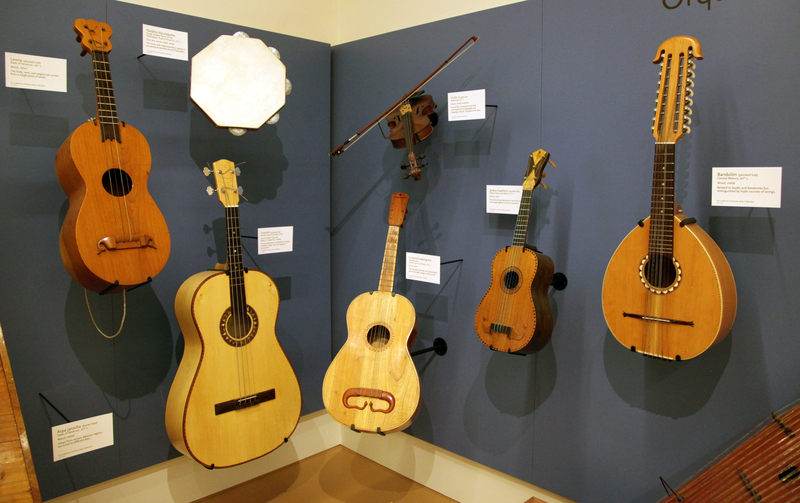 Well, the Musical Instrument Museum in Phoenix is arguably the eighth wonder of the world — a true gem, a cultural oasis, worthy of the most emphatic bragging. The MIM is home to an impressive display of global history, geography, arts and culture; a true delight for musicians and music lovers. And even though the MIM opened 2 years ago in my own backyard, I just recently paid admission and took a tour. First, let me say that the MIM is the largest museum of its kind in the world, inspired by a once royal museum in Brussels. The musical instrument collection is housed in a very large — very expensive — modern building designed and built expressly for the museum. In addition to the displays, there is a 300-seat concert hall, conservation lab, cafe and of course, gift shop. 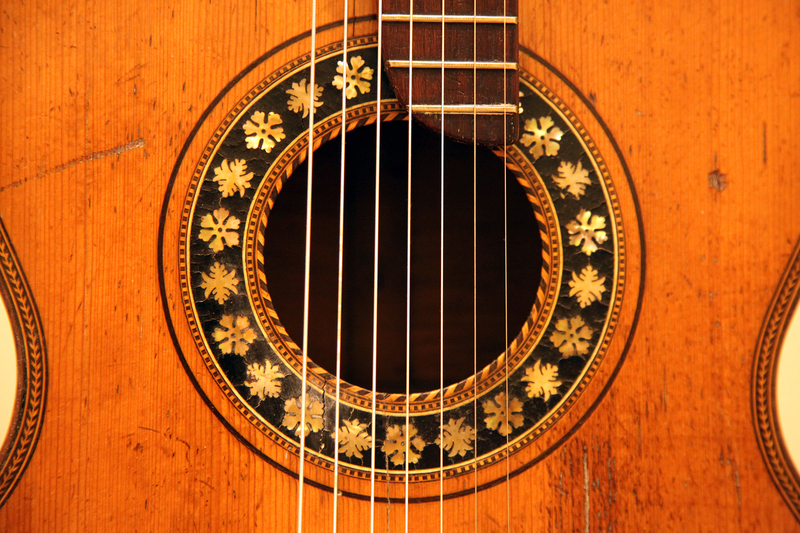 A Portuguese Guitar from around 1590, with 5 pairs of strings. 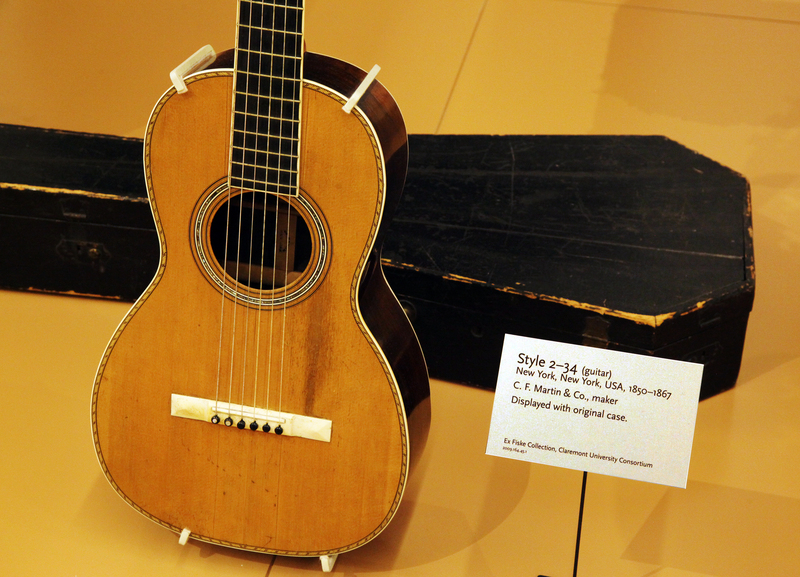 Considered the oldest full-sized guitar in existence. Each thoughtful display is extremely accessible. Honestly, you can almost touch the instruments! Each exhibit is augmented with HD video of performances — often of the actual instruments on exhibit. Wireless headphones activate automatically when visitors approach the exhibits. 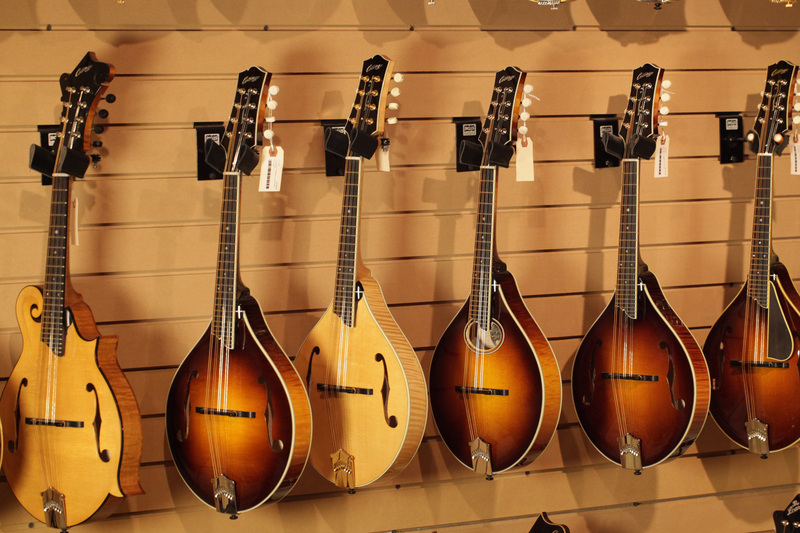 The extensive collection includes everything from the world’s oldest guitar, to a Rickenbacher vibrola, to a walking stick made into a fiddle. Of course, I’m partial to the guitars, but there were wind, percussion and keyboard instruments too. Even an air guitar. Seriously, an air guitar. Since the MIM opened, I’ve seen announcements about celebrity visits, like Donovan, or the press release about the Elvis estate bringing the King’s Martin D 28 to the MIM for restoration (the Elvis estate was so impressed by the facility that they “donated” the guitar to the collection after it was restored). I saw that guitar and many others as we spent 5 absorbing hours strolling through he exhibits. Here’s a simple video — Two Minutes in the MIM — to share just a taste from my visit. Most every country in the world is represented. One instrument seemed more interesting than the next … a National Map, George Benson’s Breezin’ Gibson, a plethora of plucked lutes from around the world. The beautiful snowflake rosette from this vintage 1900’s 7 string. 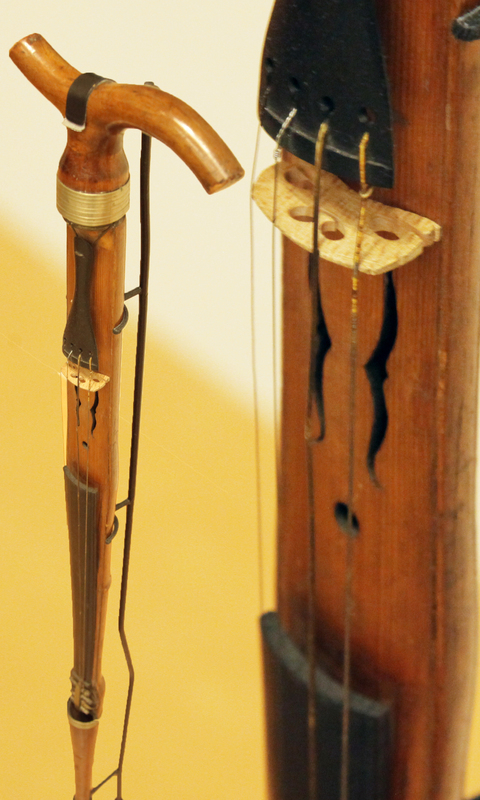 Fishing string, animal hide and gourd harp-lute from West Africa. One very simple exhibit was especially poignant. It really surprised me: John Lennon’s Imagine piano. This upright Steinway stands as silent as Lennon’s breath. The accompanying video reruns a day he sat playing and singing the song with Yoko at his side, listening with satisfied dignity. I think the MIM is the kind of place where something new could be discovered with each return visit. So I think I’ll go again. After all, it’s in my own backyard. Until then, I think I’ll go practice with my guitar. A recent business trip took me to the east coast. As is my practice, I did a quick search for local guitar shops. 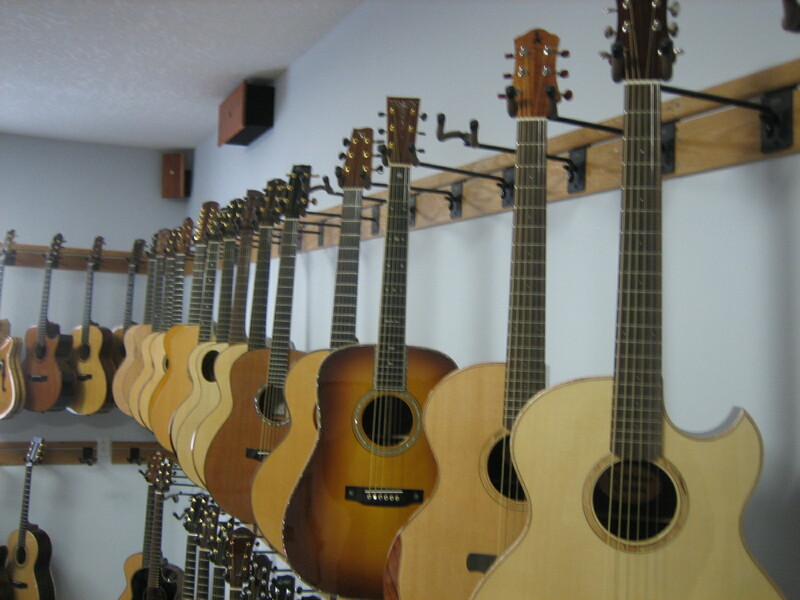 When Dream Guitars came up I was knocked out by the selection and inventory on hand. Completely. Knocked. Out. 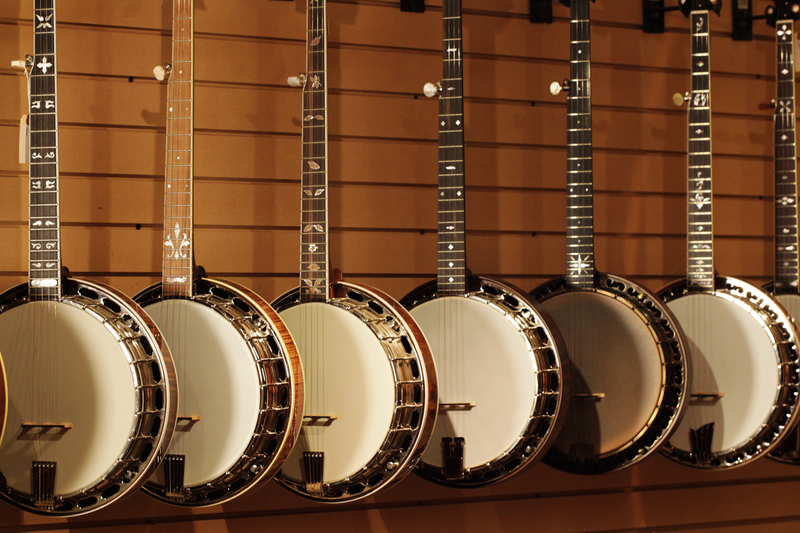 These are world-class, one-of-kind instruments. 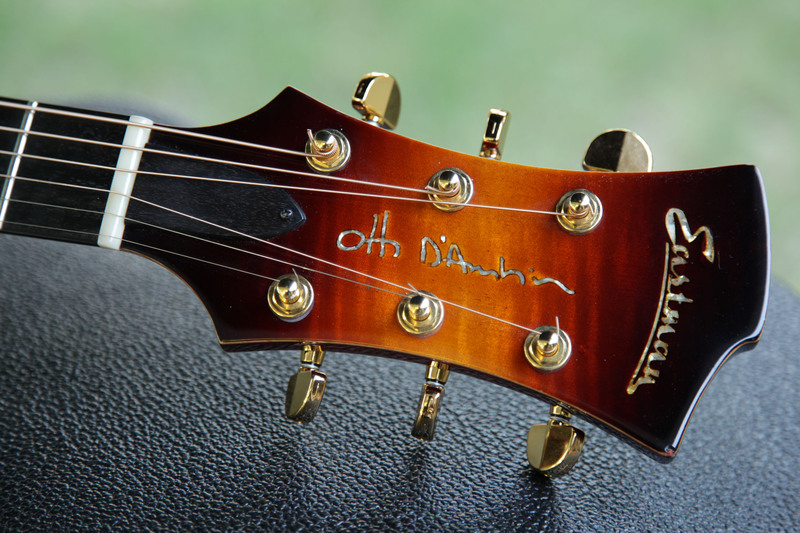 Their website is robust: beautiful photos and great sounding audio samples of each guitar. And while most are out of my price range, I couldn’t pass up the chance to see so many beautifully hand-crafted works of art in one place. 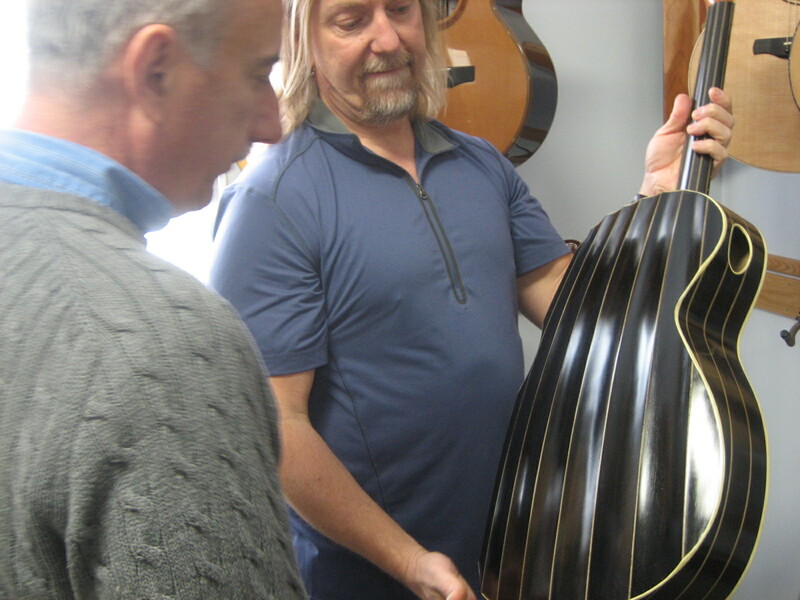 I made an appointment to visit Paul Heumiller, owner of Dream Guitars, in Weaverville, NC, on a Friday afternoon. Paul was warm and friendly. He spent a few minutes giving us an overview of his inventory. Obviously, he knew each guitar well. He began the process by asking about the type music I played and what kind of sound I liked. Relying on his vast knowledge and experience, he assists customers by focusing the search to narrow the choices. Next he thoughtfully, but without hesitation, selected 3 guitars and arranged them on stands in semi-circle in front of me. I sat down and he handed me a guitar to sample. Suddenly I couldn’t remember any of the songs or riffs I know, so I feebly plucked at the strings. Unfazed, he made the distinctions between each of the guitars and answered my questions. He told me to play as long as I wanted and let me know that after I sampled these guitars, he had a few more that he thought I might like to try. Then he excused himself to give me some privacy. What a fantastic experience! Dream Guitars is by far the most overwhelming guitar shop I’ve ever seen — including online stores. Once I discovered it, I knew it would be an amazing place and I was not disappointed. It was truly a thrill to hold these extraordinary guitars – several he showed me were absolutely museum worthy. The inlays, craftsmanship, design, rarity of woods – truly masterpieces. And the sounds — strong, eloquent voices! So what kind of guitar does Paul play? Of course he already has an amazing Somagyi guitar, with the neck custom carved to fit his hand … really, what else could a musician want? He has some of the finest imaginable instruments by the best luthiers in the world available to play every evening … With great pride Paul told me about the guitar made for him by luthier and musician Jordan McConnell in this video interview. Paul played a bit for us so we could hear the beautiful sound. It was a simple song played well. A gentle little fingerstyle tune, played with sincerity and concentration, without self-conscious thought. At the end of the interview he handed is guitar to me and said “Here, you try it.” Wow! We said our goodbyes and as we drove away, I was lost in thought. 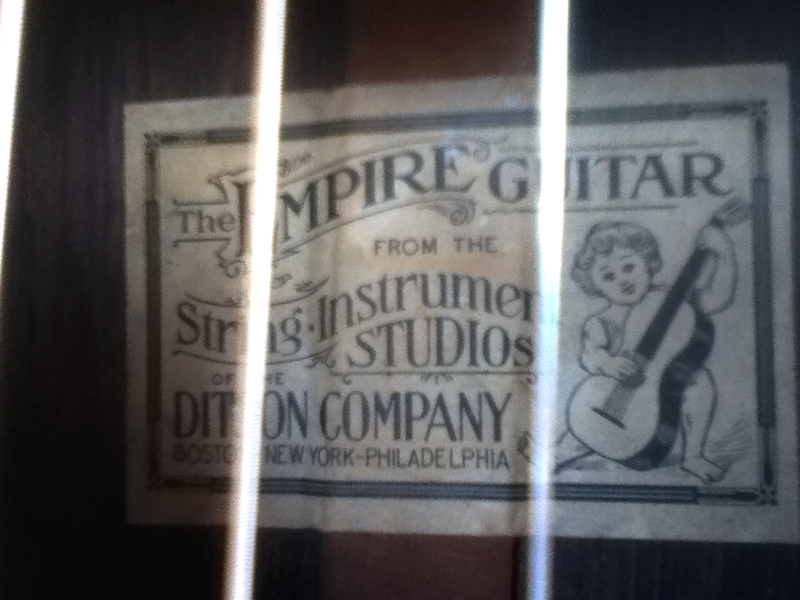 Did this visit help me in my search for my dream guitar? Yes and no. After hearing Paul describe his own quest for the guitar features that advance the sound and style of music he plays, I think I’m on the right track in the approach to my search. My own desires include: a rosewood body for the rich sound and harmonics, a wider ebony fretboard for ease of playing fingerstyle, a smaller body to comfortably fit my reach … The other thing that Paul helped me to realize is that a custom, luthier made instrument is a viable possibility for me. Custom guitar, especially pre-owned models, start around my target price and I must say that the Dave Taylor OM mahogany guitar that Paul showed me sounded great and was the prettiest mahogany wood I’ve seen. However, instead of narrowing my search, the field of options may have just expanded dramatically! Undoubtedly, this was an outstanding experience. I keep thinking of the melody Paul played on his McConnell guitar. The notes just ring out of that guitar – so smooth and long. Even though it was all of 20 seconds, it was such a memorable part of the visit. Ah. Thank you Paul for your hospitality at Dream Guitars! Time for me to practice.